They won. 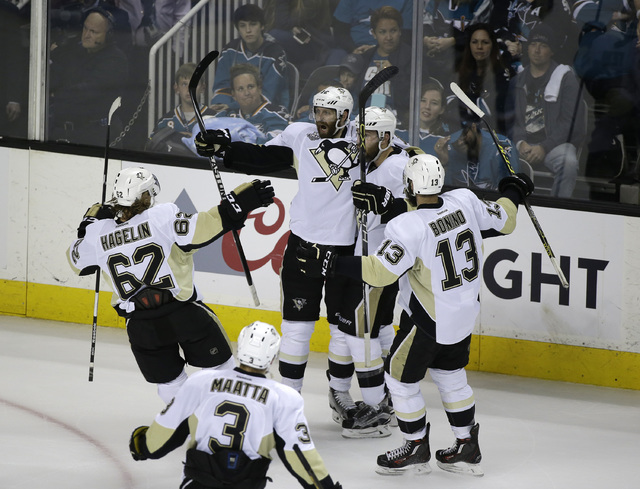 Eric Fehr gave us reason to exhale late in the 3rd and the Penguins won. And they suddenly had destiny in their hands. They were up 3-1 in the Stanley Cup Final and oh my God these guys are going to do it aren't they? It seemed like a pipe dream to start the off season. Even on a team with Malkin and Crosby and Fleury and Letang it seemed far away based on their weak playoff exit, though one marred by injury and plagued by the ghosts of previous failures. The trade for Phil Kessel lifted optimism. The thoughts of adding a goal scoring god to the Penguins filled some with optimism of visions of Stanley's Cup danced in our heads. The regular season's start quickly squashed that. Boring, boring hockey with uninspired stars and a coach who seemed lost in the waves lowered expectations to where last year's limp playoff exit seemed the best case scenario. Suddenly Crosby, Malkin, Kessel, Letang, and Fleury weren't enough. Perhaps nothing was enough. Perhaps it was time to go all Property Brothers on the franchise, gut the house and try to rebuild from the frame up. Instead relief came in the likes of a new coach (hi Mike Sullivan), a few new linemates (hello Trevor Daley, Justin Schultz, and Carl Hagelin), and a seemingly renewed Crosby and Letang. After a four game lull things seemed... better. More hopeful. Much better. Still the thought of a Stanley Cup was too far fetched... right? Fast forward to convincing playoff wins over the Rangers, over the Best Team in the League Capitals, and over a more than game Lightning who took the Penguins to the brink. Fast track through that while playing on the shoulders of a 21/22 year old rookie goaltender named Matt Murray. Travel out to San Jose where the seemingly unlikely dreams of the pre-season could be fulfilled after 60 more minutes of hard, exhausting, stressful hockey. When Eric Fehr sealed the deal on Monday an entire fanbase exhaled, looked to the sky and said aloud, "Oh my God... they're going to do this... aren't they?" On Thursday the Penguins will answer that one way or another. The odds seem in their favor as they've always answered the bell under Sullivan, have put their foot down on the necks when needed, and have almost shocked the world. As they haven't trailed for one single second in this series. As they haven't played their best and yet can still win the Cup at home the very next game. They could lift the Cup for the first time in franchise history on home ice on Thursday. And a few months ago none of us saw it coming. And here we stand, waiting patiently. It's happening and the entire story has still be hard to follow.